Riverside Estates is a Warrington based letting agent dedicated to making a positive impact on their local community. They provide people on low incomes with a means to move on with their lives, preventing homelessness. Using a £140,000 loan from Unity Trust Bank, Riverside Estates has partnered with the YMCA on a brand new re-housing project. As part of the development, a community shop selling upcycled items has opened in Latchford to raise funds for YMCA Warrington. 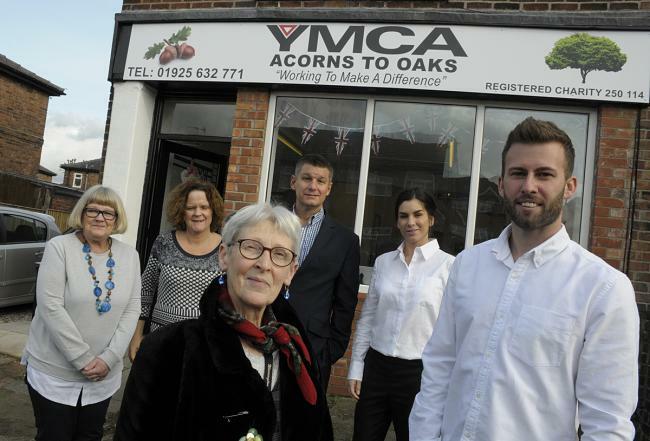 The Latchford shop, on Poachers Lane, is named YMCA Acorns to Oaks and opened in March 2017. As well as bringing in money for the charity, it raises awareness of the work carried out by volunteers at the town centre site, on Winmarleigh Street. Following support from Jake and Kimberly Foden, from Riverside Estates, the YMCA has also entered into a partnership to support people being rehomed in five studio flats in Latchford. Ian Heesom, relationship manager at Unity Trust Bank, said “We are delighted to work with Riverside Estates and the YMCA to fund this rehousing project. Photo: Warrington Guardian. From left Diane Griffiths, Cheryl Holbrook, Susan Blyth, Ian Heesom, Kimberley Foden and Jake Foden outside the shop.